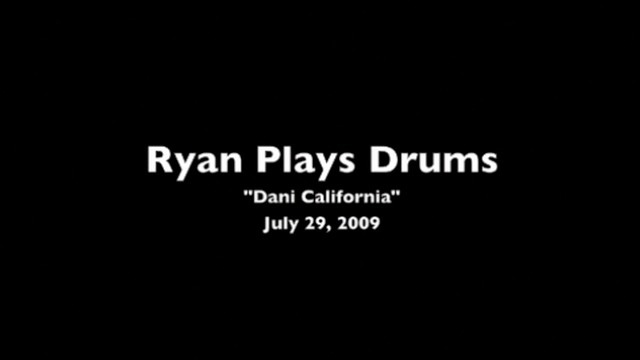 This blog entry is dedicated to my son Ryan. Ever since he was a baby he would sit in the studio with me as I worked, watching me and doing things babies do. 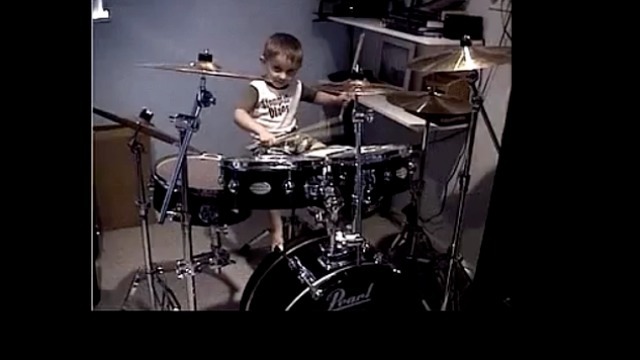 After this, he never really showed much interest in playing or learning until 2009, after he’d been steadily playing the XBox game “Rockband” for a few weeks. Strange as it sounds, the drum kit and parts as they appear in Rockband DO INDEED teach the fundamental coordination and movement for playing REAL drums (unlike the guitars which just have buttons instead of strings). Again, a number of years go by. There’s talk of getting him lessons, but it never seems to pan out, and he doesn’t seem all that interested. Early this year, he received an iPad Mini for his birthday and has been exploring a lot of new music from my iTunes account. Somehow he found his way to RUSH and it spoke to him (as it did to his father over 30 years ago). Without any prompting from me (or practice by him) he came and asked if we could do a video of him playing Caravan from Clockwork Angels. I thought, I’d love to see him try. Again, this is far from perfect, and he train wrecks in the middle so we stopped and edited a second take ending, but I’ll tell you what, THAT BOY KNEW THE ARRANGEMENT. He didn’t quite know how to execute, but he KNEW the song. See for yourself. So after seeing this, I decided this kid is going to get lessons. 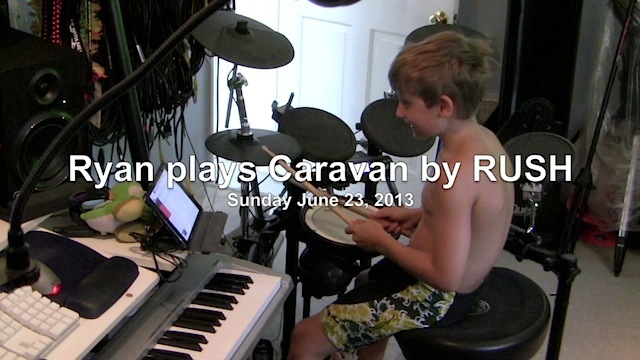 He began taking lessons in September of 2013 and has had four of them as I write this. Last weekend he came in wanting to try YYZ. What the hell, right? Once again, not perfection, but I can CLEARLY see development in his playing and technique. Some of his skills have already exceeded mine (which is not saying much, but it’s meaningful for me). The boy is on his way to becoming a serious musician and I couldn’t be more proud. 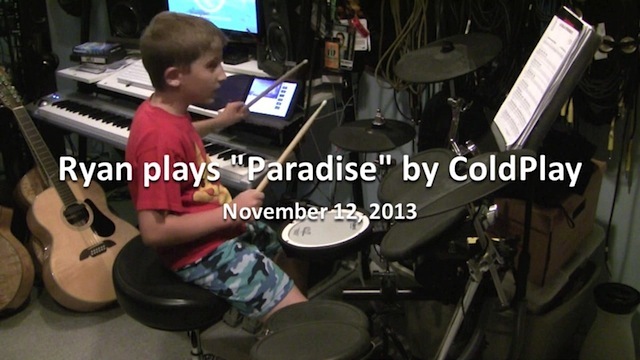 Here’s a video of Ryan playing “Paradise” by Coldplay. I think I’m going to set him up on his own YouTube channel. Wow , this young man has some serious talent !! GUYS!!! I am beyond impressed!! 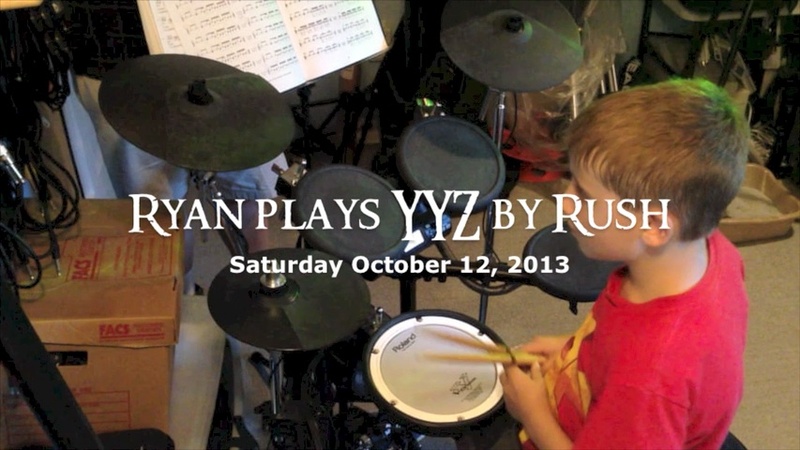 I can’t believe the way he pretty much nailed YYZ – got all the licks in and everything!! Way to go, Ryan! Keep it up! Leave a Reply to John T.